We love the Leatt brand because they create technical bike clothing with well thought-out features using the best materials. Styling and colors are always spot on. And key to us is they’re competitively priced and not out of reach of most consumers. Here are the highlights for the upcoming colder weather riding season. 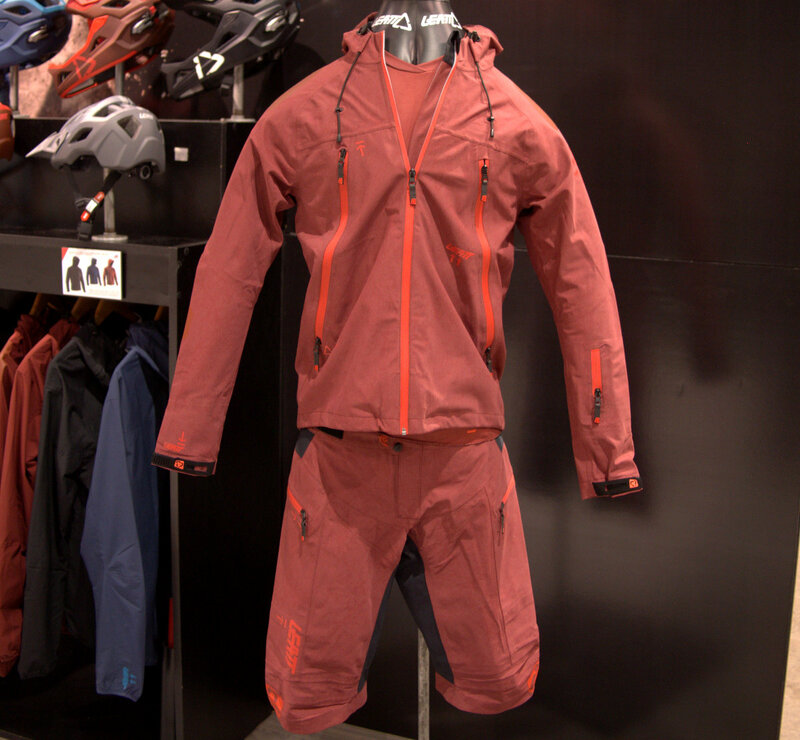 The Leatt Jacket offers the highest level of coverage in the outerwear line and both the jacket and the shorts are made of HydraDri four-way stretch material. 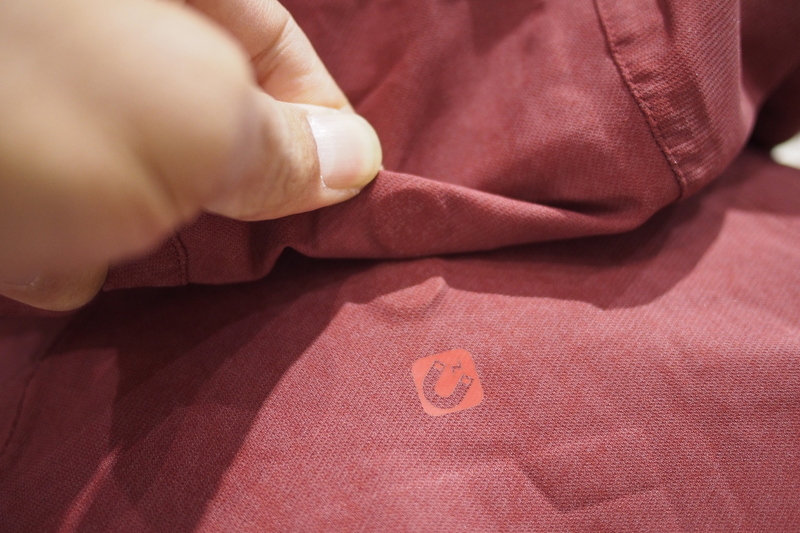 HydraDri is a new three-layer fabric developed exclusively by Leatt that offers comfort due to its flexibility and it has 30.000mm/23.000g/m² waterproof/breathable properties. 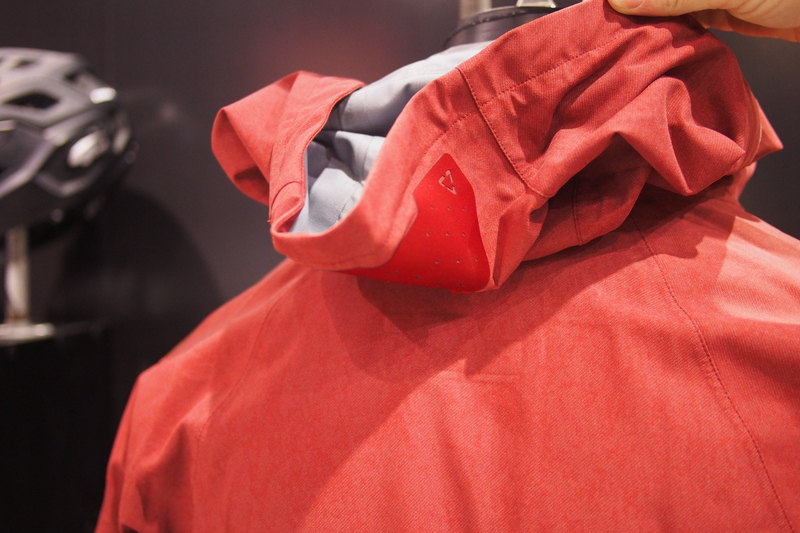 The DBX 5.0 jacket design includes patent-pending Magnetic Hood System. This unique construction is made up of four magnets. Three are sewn in the jacket (between the shoulders, at the neck and on top of the hood, close to the visor panel), and one additional magnet with adhesive tape can be stuck to the helmet. The Magnetic Hood system allows you to either fold the hood back and out of the way when not needed, to keep it in place while riding, or to fix the hood securely to your helmet ensuring that it stays fixed on your head, even when riding at high speed. 5.0 jacket is priced at $200, shorts are $120. Explore the entire 2019 Leatt Bike Outerwear line at www.leatt.com. Magnets were employed quite well here. I agree – I like Leatt products quite a bit and plan to try their stuff soon.